I went for a walk tonight and ended up writing in my head. I got home and began typing those thoughts into a new post. A few sentences in, however, I realized that I might want to write an introductory post first. 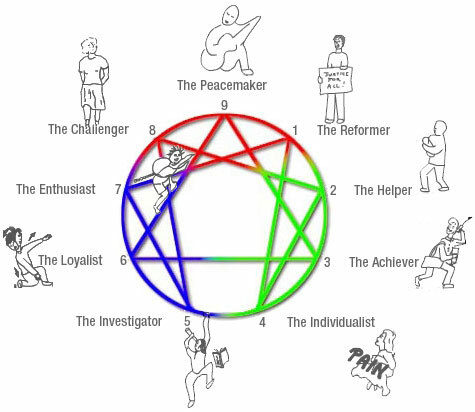 Sixes desire stability, a safe environment, to cooperate and create with others. They are disciplined, meticulous, and persevering. Organizing resources, prioritizing tasks, and seeing projects through are great strengths. Though they are not necessarily ‘group people’, they like the feeling of ‘belonging’ somewhere – to be a part of something greater than themselves. Being of service, responsibility, reliability, hard work, and a sense of honor are extremely important. Though sixes do their best to be solid and responsible, they are often troubled by doubt and anxiety. Sixes know that when they make a commitment, they do so 110%. Because of this, they look for assurance that the commitment is worth that energy. They look for common ground and get nervous in situations where there are too many unknowns. Fundamentally, sixes are looking for someone to trust because they do not trust themselves. They do not have much faith in themselves and their own abilities so they look outside themselves for some sort of guidance and security. In the long run, this only adds to their own mistrust. They will keep bouncing back and forth between depending on others and trying to prove that they are tough and independent (one of many contradictions of a Loyalist). Sixes want to have security, to feel supported by others, to have certitude and reassurance. They do not want to feel abandoned, to feel pressured, to have to accept new ideas rapidly, or to have contradictory expectations placed on them. Sixes often seem like highly organized and responsible people, but the hidden issue is that they are trying to calm their inner anxieties by trying to make their external world trouble free and predictable. Ultimately, they know this is not possible, but they will persevere in the effort to make their world ‘safe’. The real source of anxiety is internal and is perpetuated by their constantly churning thoughts (something I know nothing about…). Sixes cannot stop second guessing themselves. With their minds constantly revved up in a hypervigilant state, it is almost impossible to relax. This is why it is important for sixes to find a space of inner quiet to recharge. Several times over the last few days, I’ve been reminded of the fact that I haven’t been writing – a sure sign that I’m in avoidance mode. As I sit here, staring at my computer screen, I realize that I am reinforcing what I am attempting to write about, making it difficult to refute the validity. We all have things we are sure of and things we’re not so sure of – likes & dislikes; strengths & weaknesses; goals & aspirations; aspects of our personalities. I like to be sure of things. Uncertainty and the unknown cause my anxiety to rise. I intellectually understand that I can’t know everything – that there will always be uncertainty in life – but that doesn’t always make it easy to wrestle through. Over the last few years of my journey, a lot of the things that I’ve been sure of, and unsure of, have changed quite drastically. It’s been an incredible stretch of road – not always easy, but well worth discovering new and lost parts of myself. Recently, I’ve been thinking about something that I used to be completely sure of – I am not a runner. I may stay far away from physically running, but I’ve spent my life running in just about every other sense of the word. When it comes to ‘fight or flight’ response, I know that I’m wired for flight. At least I knew that I’m wired for flight. That is one of those things I’m not so sure about anymore. I learned a lot of things growing up that aren’t true. Part of my journey has been to unlearn those things. And I’m coming to believe that those things are what drove me to a flight response. I ran from conflict because I believed I was wrong and everyone else was right. I never learned to stand up for myself. I ran from emotions because they were a sign of weakness. I never learned to truly connect with myself or anyone else. I ran from those who tried to break through the walls I built. I never learned that people could truly care about me. I never learned those things because I had already learned that I didn’t deserve those things. A lot has changed in the last couple of years. I’ve discovered a voice. I’ve discovered strength. I’ve discovered truth. Though I still struggle with some of the lies I’ve learned, I am realizing that I am not who I was told I was. I’ve found myself standing up for what I believe. I’ve found myself fighting for what I need. I’ve found myself believing that I have something to offer. 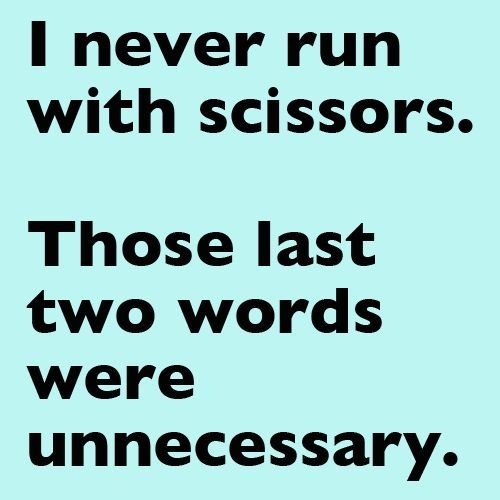 And yet…I am still running. Some of it is instinctual, and it’s about digging down and finding the energy to fight that instinct. Some of it is that I still believe some of the lies I’ve been told. But some of it is simply fear. Currently, I am running from hope. I am afraid to hope. There has been so much that I’ve hoped for in my life, and very little of that has actually come to fruition. If I don’t hope, I don’t have to mitigate the disappointment. As I’ve thought about running, I’ve realized that I am avoiding hope in several areas of my life. If I don’t hope for a relationship, I can’t be disappointed when I don’t find one. If I don’t hope for the job I really want, I can’t be disappointed when it doesn’t happen. If I don’t hope for support, I can’t be disappointed when it’s not there. So I continue to run. But am I really a runner? Am I really wired with a flight response? I’m not so sure anymore.